Major job cuts at HSBC; Eight-figure NY marketing services pitch down to three firms; Lester Holt likely to replace Brian Williams for good; How a mattress startup is using content to build a brand. An HSBC office in London. 1. Mattress startup Casper is rolling out Van Winkle’s, a custom content website, on Tuesday after months of hiring journalists. The goal of the custom publishing site is to create a brand around giving customers a good night’s sleep. 2. 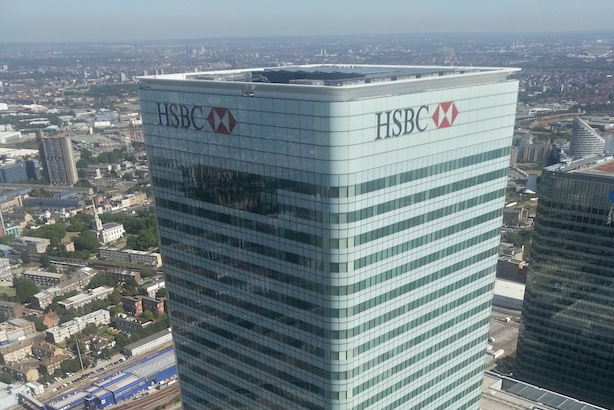 HSBC is planning to cut about 50,000 jobs around the world as it sells off underperforming business units. About 10% of the British bank’s workforce will be eliminated by the end of 2017. 3. New York has narrowed the list of agencies in the race for an eight-figure marketing services contract to three firms: DDB, Lowe Campbell Ewald, and BBDO. The incumbent on the Empire State Development account is BBDO. 4. Protests took place in McKinney, Texas, on Monday, days after a white police officer was caught on videotape throwing a black teenager to the ground while breaking up a pool party. Defenders of the officer said race was not a motivation in how he acted. 5. Lester Holt is likely to stay in the anchor’s chair of NBC’s Nightly News even after Brian Williams’ six-month suspension is up, according to CNN. The network is negotiating with Williams, suspended a half-year in February, to either take a new role or leave altogether. 6. Jeb Bush has shaken up his top campaign staff as he prepares to formally enter the race for the GOP nomination next week, naming 39-year-old Danny Diaz as his campaign manager. The former Florida governor is on his way to Central and Eastern Europe, where he’s planning to talk tough about Russian President Vladimir Putin, on the international campaign stop. 7. LeBron James is rolling out Uninterrupted, a platform that allows athletes to film video messages without the media filter to speak directly to the public — aside from playing in the NBA Finals, of course. Game 3 is scheduled for tonight in Cleveland. 8. The Poynter Institute’s Kelly McBride took on the sticky topic of when, if ever, it’s OK for journalists to pay for information that leads to a story in a Tuesday op-ed in The New York Times. 9. Apple emphasized diversity during the first day of WWDC15 on Monday, with two women appearing on stage during presentations for the first time. It also rolled out a music-streaming service and improvements to iOS. 10. The US Army shut down its public-facing website after it was hacked on Monday. A group claiming allegiance to Syrian dictator Bashar al-Assad claimed responsibility. 11. United Passions, a film commissioned by FIFA that critics have slammed as a propaganda piece, made only $607 in the US during its opening weekend. Sepp Blatter, the FIFA president who said last week that he’s planning to step down, is the subject of much of the film. 12. Cuts to Sears’ advertising budget won’t help the household-name retailer as it tries to make a comeback, analysts said on Monday. Instead, the company is focusing on targeted advertising and loyalty programs. 13. Most Americans believe Caitlyn Jenner’s transition will help the country become more accepting of transgender individuals, according to an NBC News poll released Tuesday morning. Jenner debuted on the cover of Vanity Fair last week.